When you need a new gutter system, the replacement gutters that we offer and install at 31-W Insulation are some of the best you’ll find in the White House area of Tennessee, and our installation services are unmatched. Our installation crew comprises only our trusted employees, never subcontractors, and they uphold our high standards of customer service and workmanship with pride. You can trust us for our experience, too, since we’ve been masterfully installing gutters for homeowners all over the Southeast since 1972. Of course, the greatest benefit of our gutter replacement services is that our gutters are completely seamless, which is achieved by our expert technicians carefully cutting them to the precise measurements of your home. 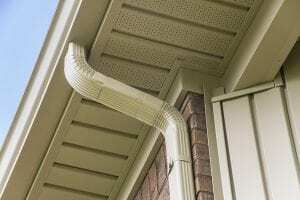 This not only minimizes the risk of your gutters leaking and falling apart, but also helps improve the appearance of your home. To learn more about our gutter replacement services available for your home in White House, TN, contact 31-W Insulation today.